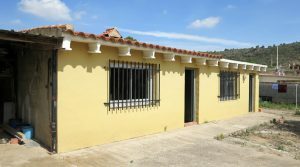 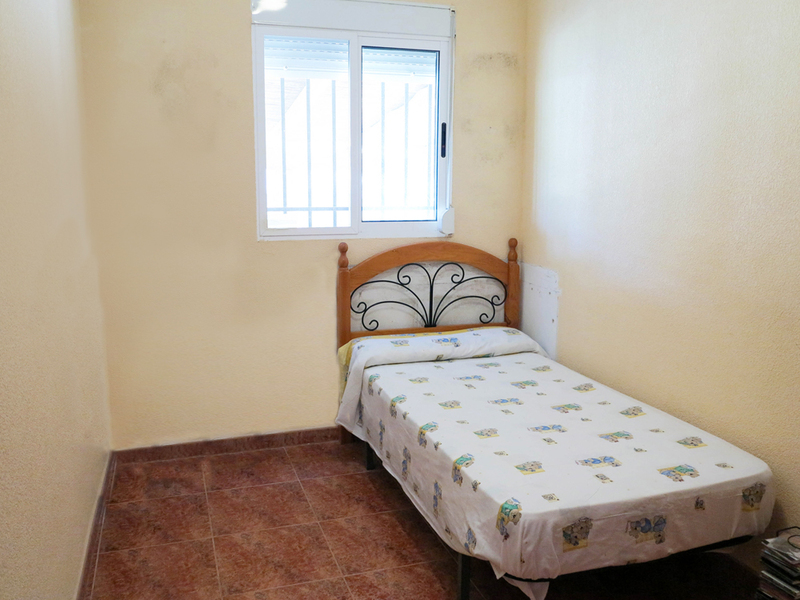 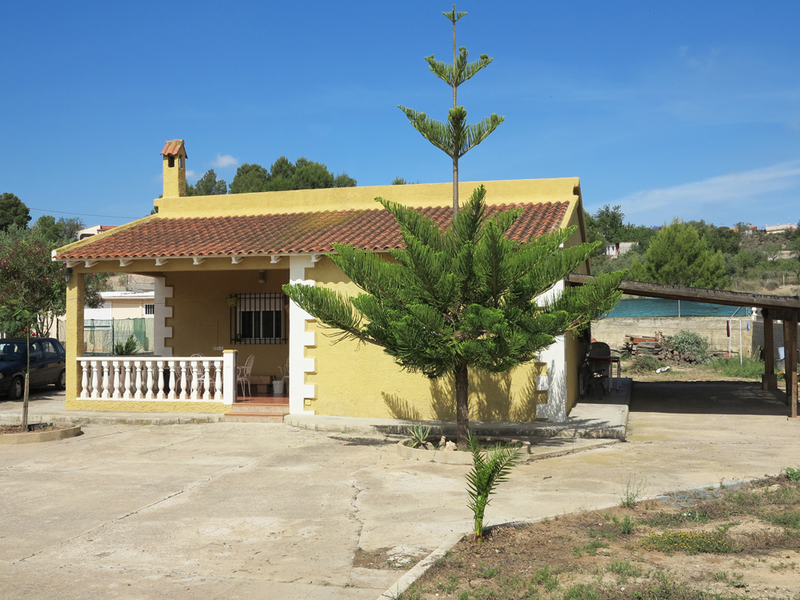 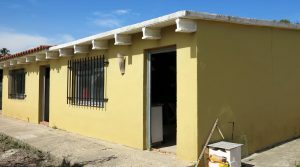 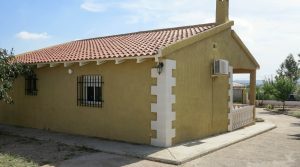 A cheap property for sale Valencia between the towns of Montroy and Monserrat. 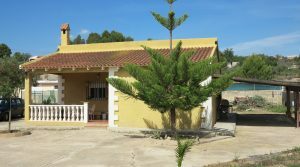 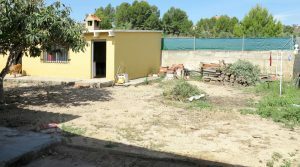 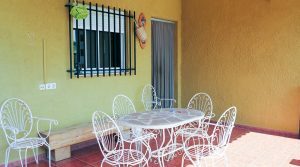 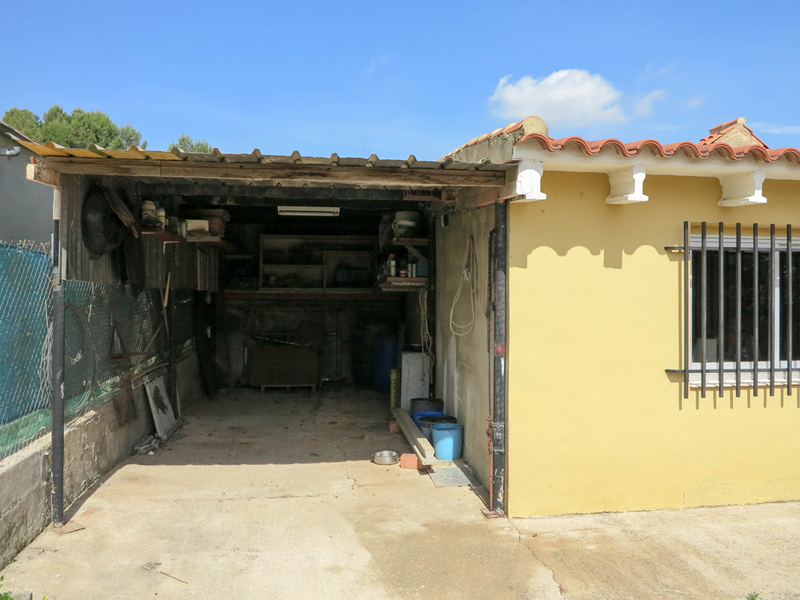 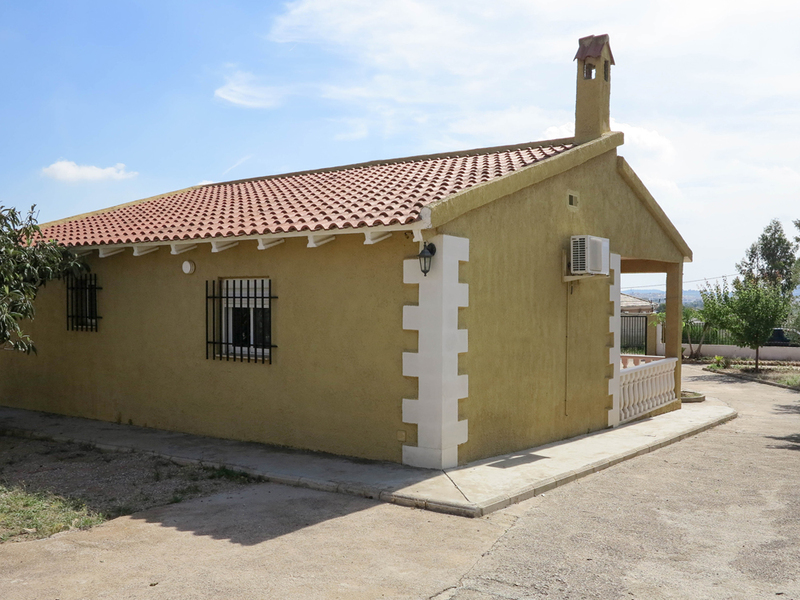 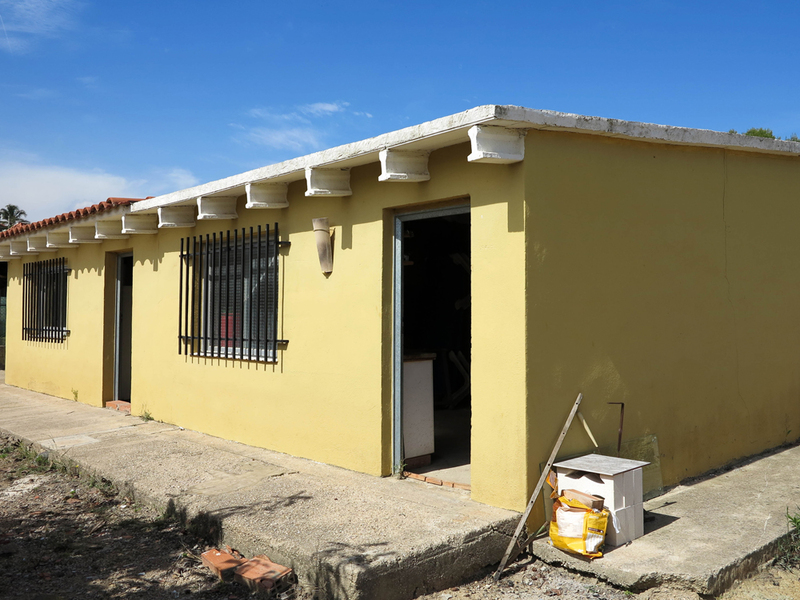 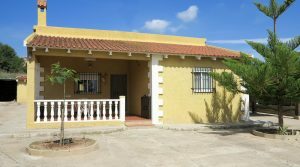 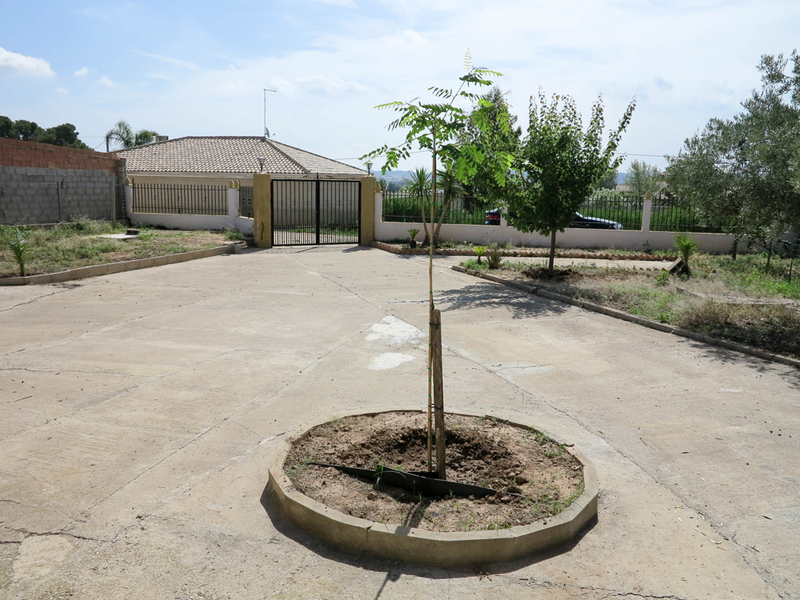 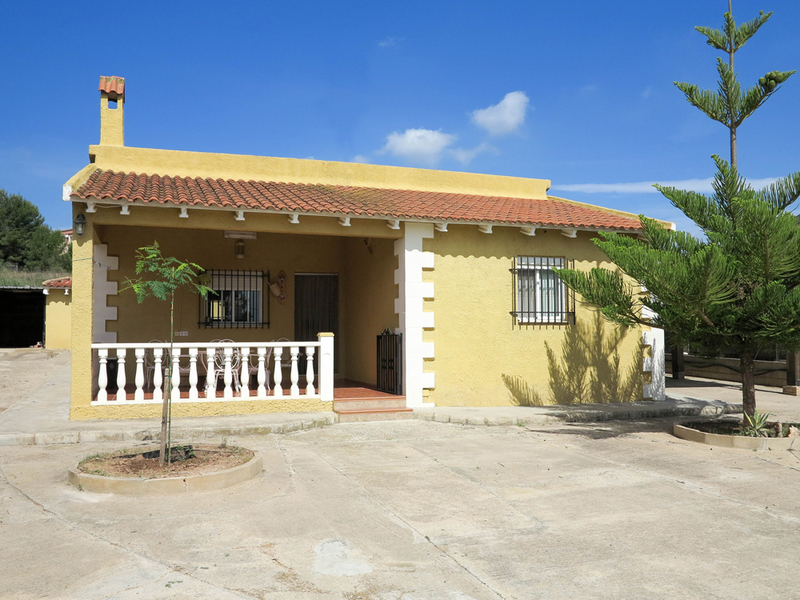 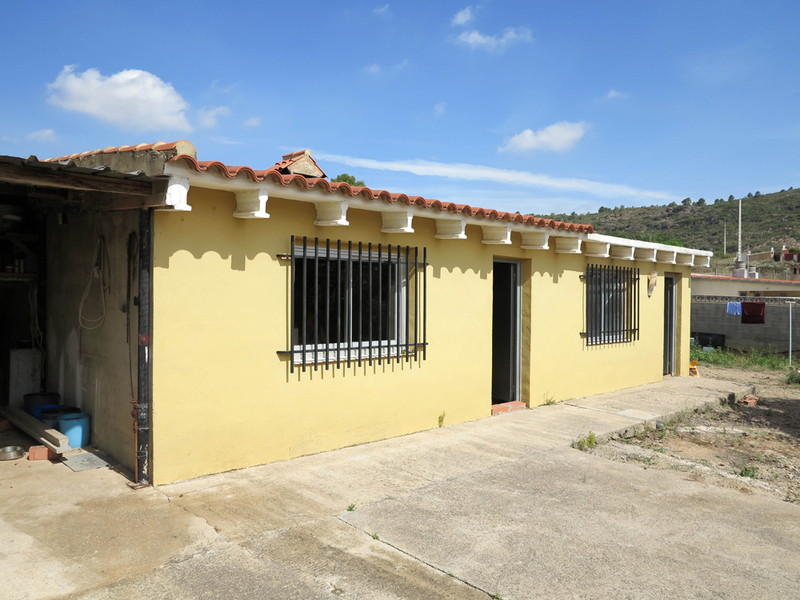 This property sits centrally within its flat fully fenced plot and is situated on a cul-de-sac road, with good views across to Monserrat town which is just over 2km walk away on a quiet road. 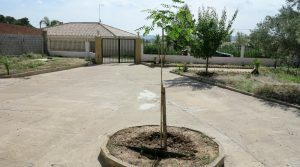 You have double gated entrance at the front opening up on to your wide private driveway and ample space to park your car(s). 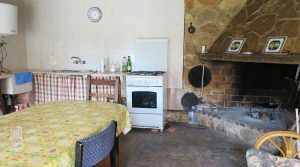 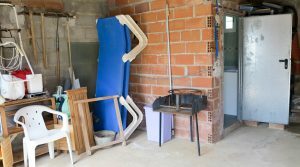 At the front of the villa, there is a covered terrace before entering into the main room which has a log burning stove in the lounge area and there is a dedicated space for a kitchen (open plan) at the rear. 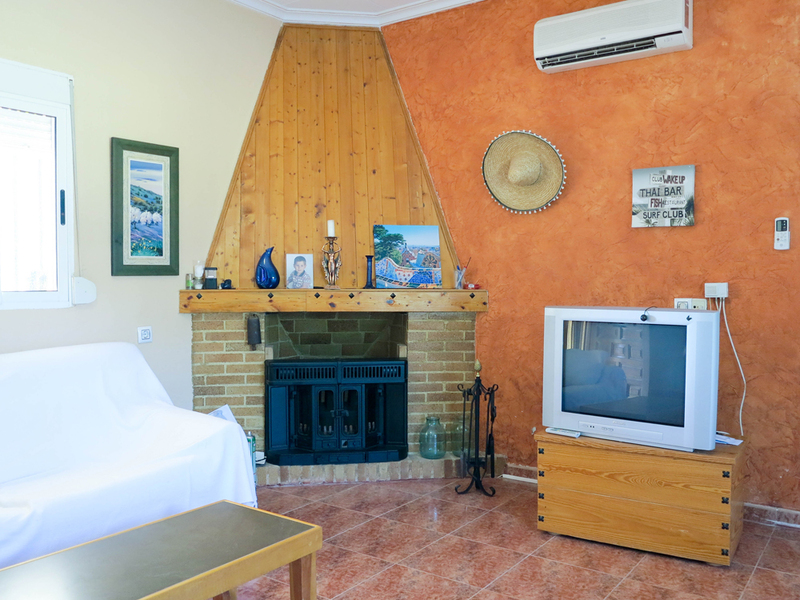 Here too you also have hot/cold air conditioning in this central room. 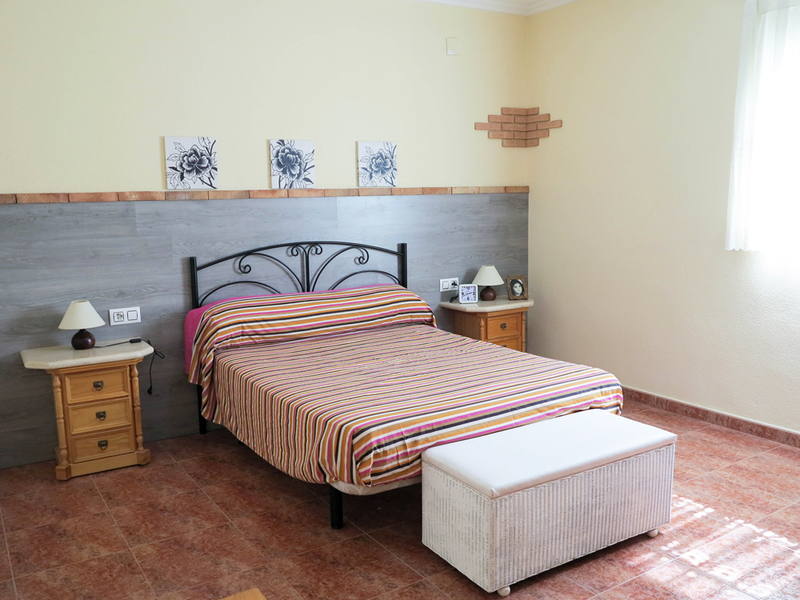 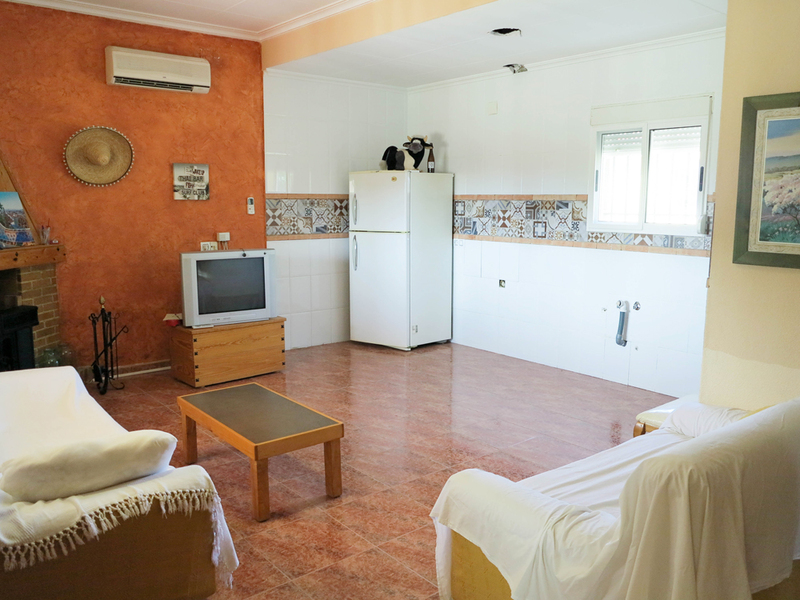 There are three bedrooms in the villa and a recently modernised family bathroom complete with a shower. 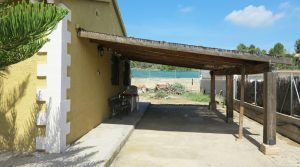 To the side of the villa, there is a very nice and spacious wooden structure covered terrace. 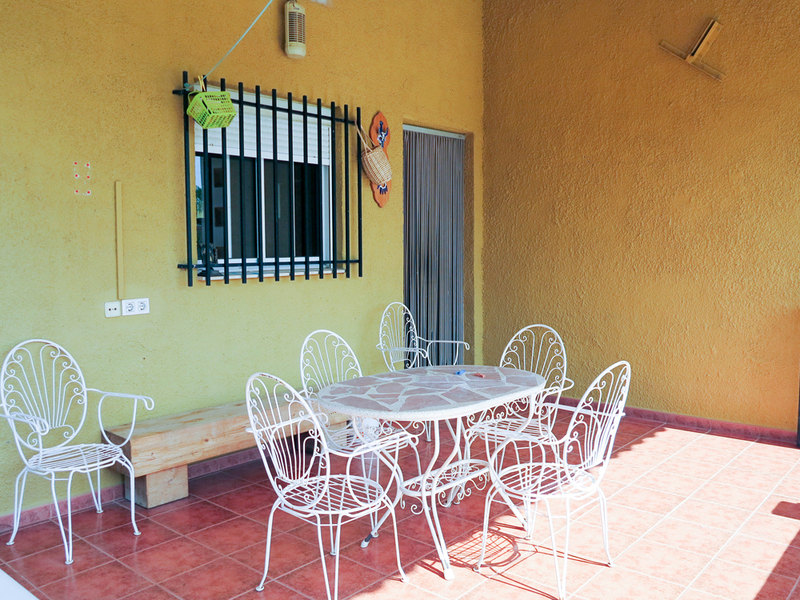 This is the ideal place where to enjoy a meal with a group of friends. 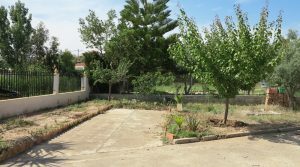 In the rear gardens, there is a detached building. 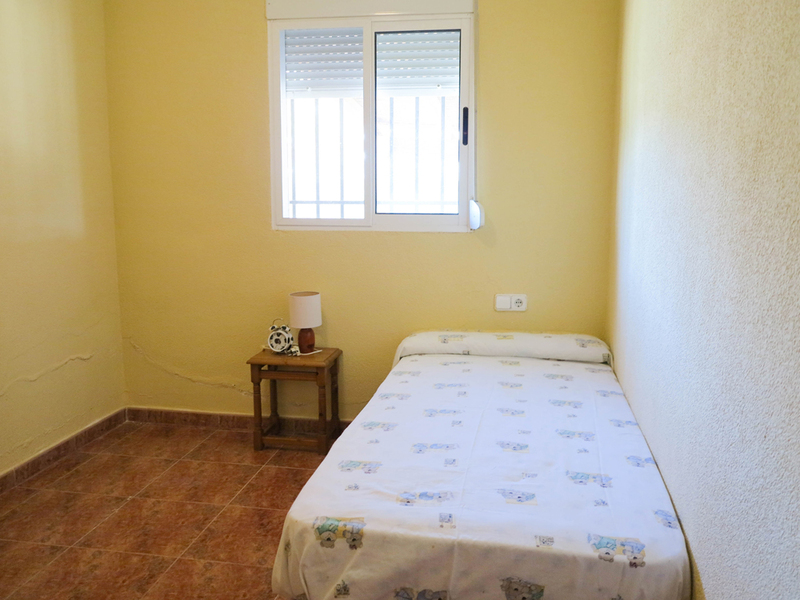 Here in this building, you have a partly reformed guest apartment. 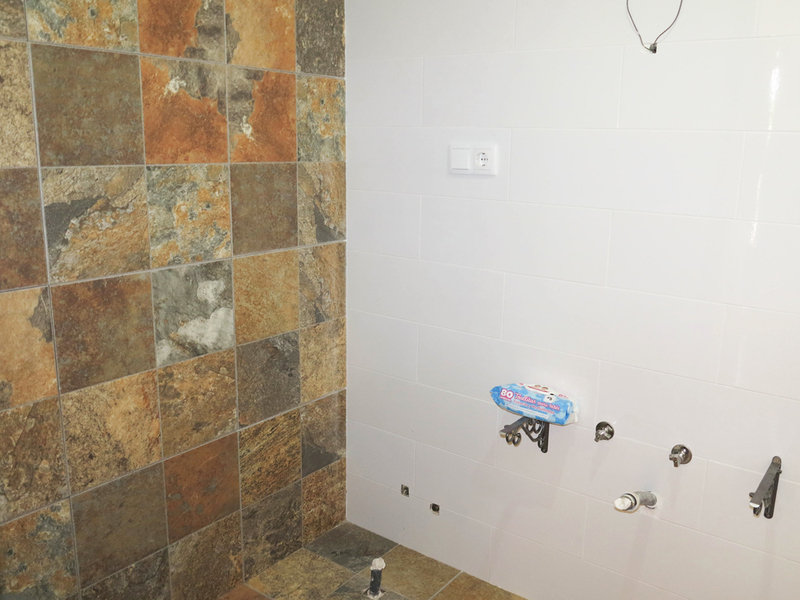 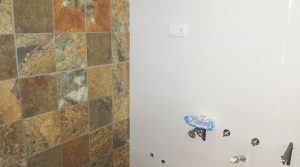 The bathroom in this apartment has already been completed and is completely finished. 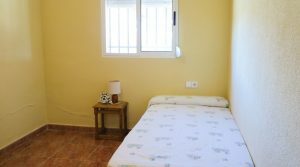 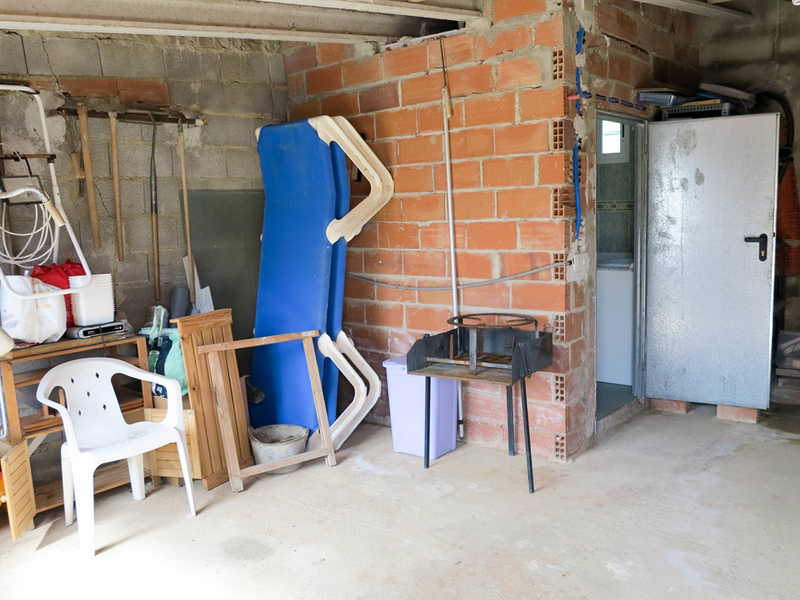 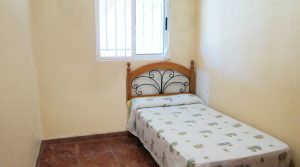 There is a generous size room (currently being used as a storeroom), that is designated to be used as the studio bedroom (with the bathroom already completed as discussed). 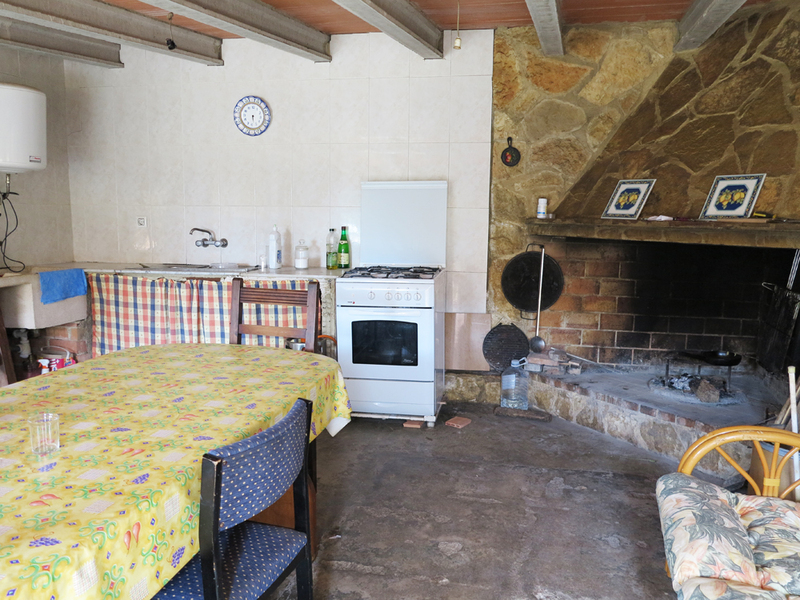 Next, to this apartment, you have a large outside kitchen/dining room. 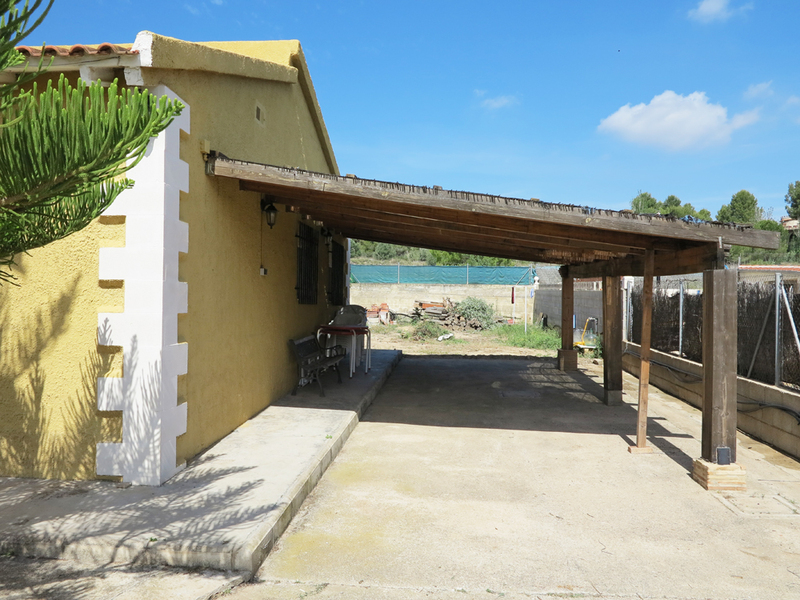 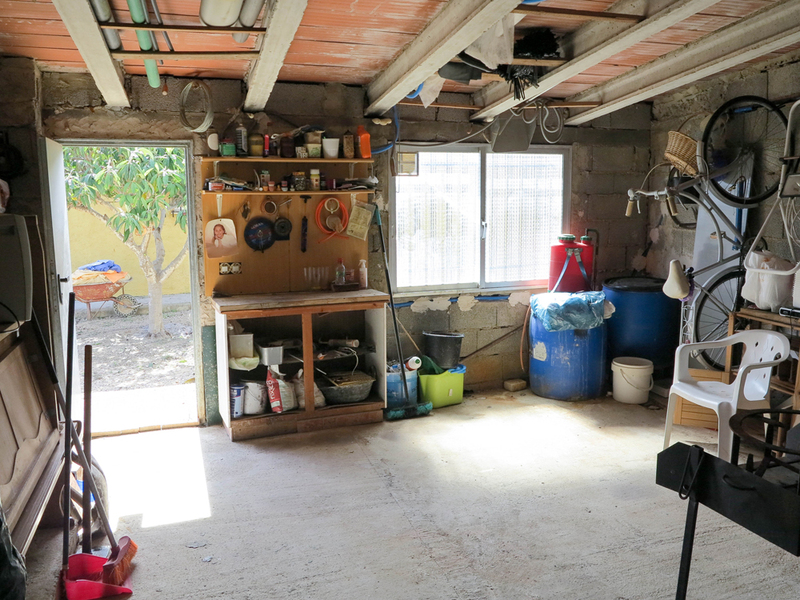 Here you have the traditional paella house (indoor barbecue) and ample space for dining or where to have a party. 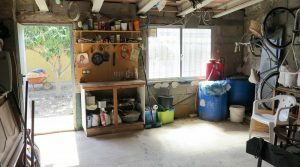 Next door to this large outside kitchen there is a carport. 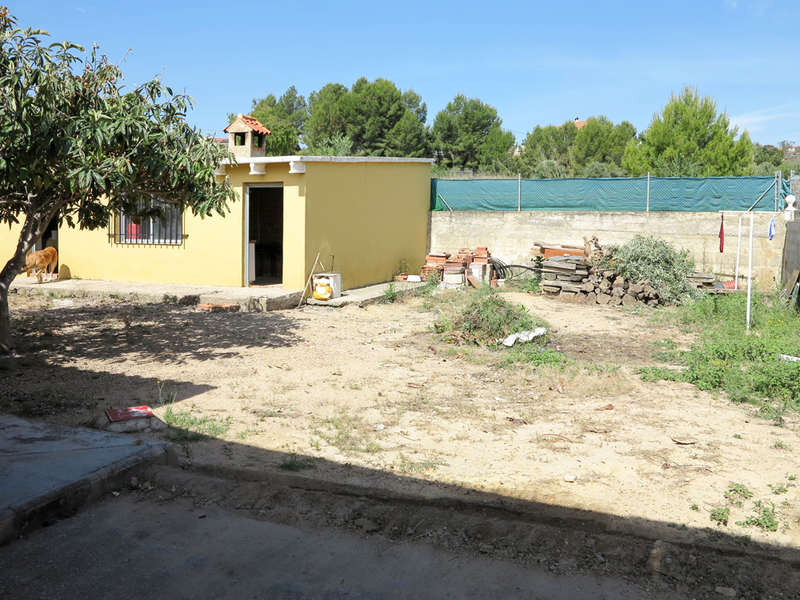 There is a courtyard between the apartment and the main villa, with more land at the side. 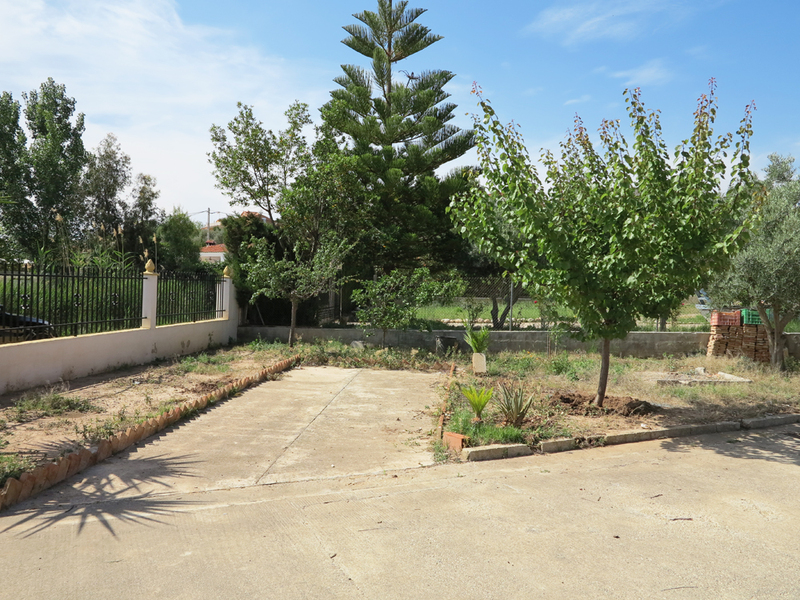 This courtyard area would be the ideal place to erect a swimming pool. 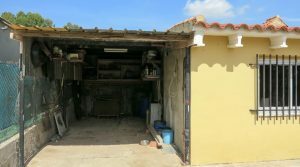 But it would need to conform, to the current planning laws, therefore ideally it would be either a wooden or plastic structure. 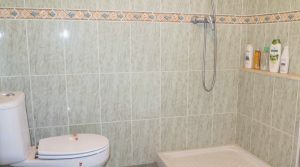 There are many modern designs available as to choose from if this is desired. 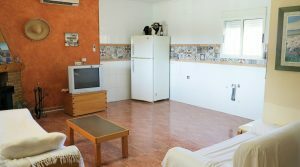 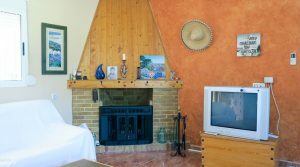 Within the gardens, you have olive, lemon, apricot and nispero trees and broadband internet is easily available at this property.